Christmas Activities for Kids. Five fun Christmas activities to do with your little ones and family this holiday season. 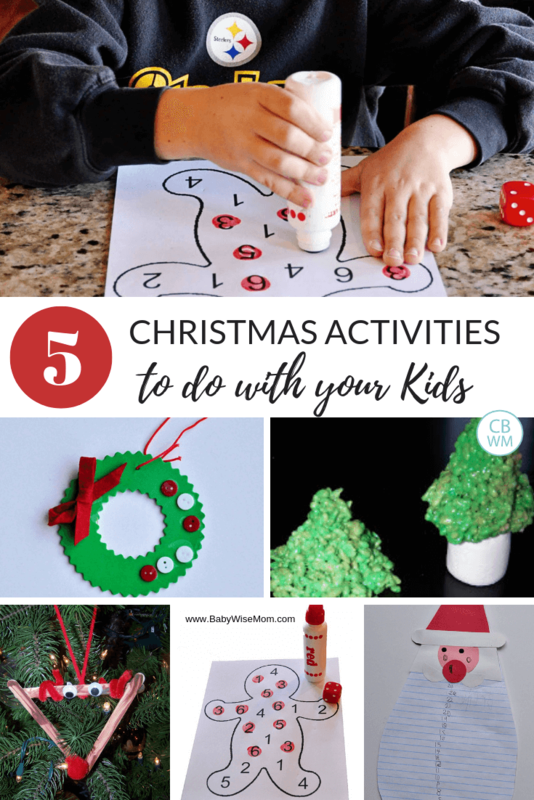 Christmas activities are a fun tradition to do with your children each year. Here are five simple ideas for things you can do with your children this year. See my post Family Christmas Traditions for more ideas for fun traditions you can do with your children this year. If your children are like mine, they can’t wait for Christmas to come and want to know every day how many more days until Christmas. 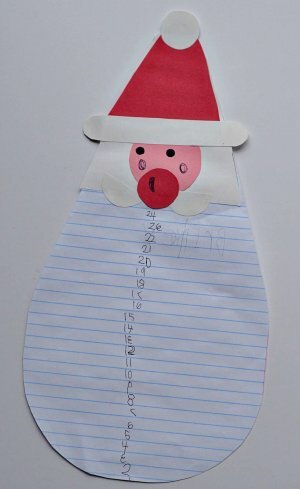 A countdown activity is a perfect way to help your child see how many days are left until Christmas. Cut your papers out to create a Santa face and beard. Number each line to match how many days until Christmas. Let your child glue the pieces together. Hang it somewhere in your home (like the fridge). Each day, have your child use the scissors to cut off one line from Santa’s beard. 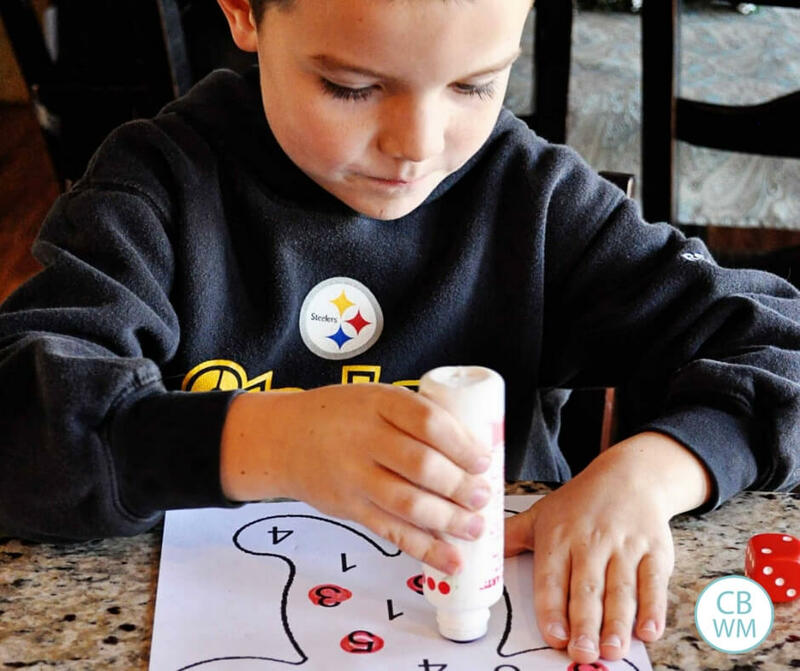 This is a great art activity to teach number sense, colors, and work fine motor skills. I made this page by googling “Gingerbread man coloring page” and chose this simple gingerbread man. I then opened it in Photoshop and put numbers in it. You could do it in Word or other programs, also. Here is my copy you are free to use. You could also just quickly draw a copy for your child to use. It doesn’t need to be fancy. December gets busy, so easy Christmas activities are the way to go. Children do not mind if it was easy for you to pull it together. The activity is simple. You give your child a dice and something to mark with. You have your child roll and mark off each number as he gets it. My kids really enjoyed it! For more of a challenge for older children, you could do larger numbers (7-12) and give them two die and have them add the numbers together. You could make it a Christmas game and have all of your children race to see who can fill up their gingerbread man the fastest. Children love to play Christmas games. You could also use this idea for shapes or letters. 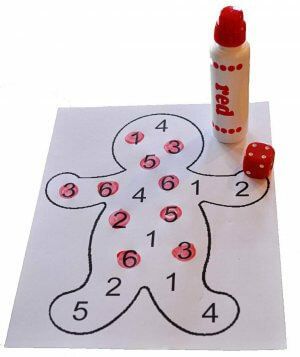 Simply draw letters or shapes instead of the numbers in your gingerbread man outline. 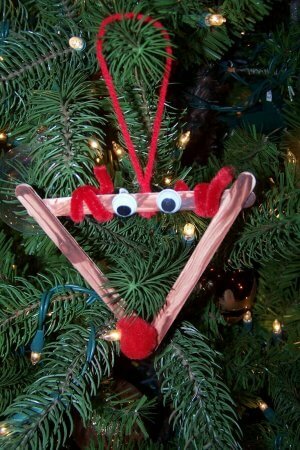 Children love to make an ornament that they can hang on the tree. Hanging ornaments on the tree is a great fine motor skills activity, and most Christmas crafts work the fine motor skills, also. Have your child decorate as desired! A simple and cute ornament! Here is another ornament to make. 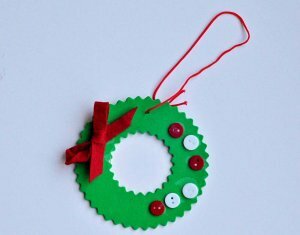 This is a simple ornament for your preschooler or toddler to make. Have your child paint the craft sticks brown. Let dry. Then, have your child glue them into a triangle shape. Add a nose, eyes, and antlers. Glue a string on the back. Let dry and hang your ornament! I always love to add in a treat to our learning activity time. AGE RANGE: as soon as you start allowing them to help cook. I would say most 15-18 month olds and older can do this. Rice Krispies: 5 cups. I always buy the inexpensive rice krispies in the bags (like Malt-O-Meal). Marshmallows: 4 cups miniature (which equals about half a bag) or 40 regular. Candies to decorate tree (like red candies or string licorice)–optional. Regular size marshmallows for base of tree–optional. Get cookie sheet out and grease or spray with non-cooking spray. Add marshmallows. As you are measuring, be sure to incorporate math skills. For the younger toddler, it might just be saying “We need to fill this up 5 times. Can you help me count?” As your child gets older, you can increase the difficulty of this. Brayden (4.5) is quite good at math and can do simple addition in his head. He has also started learning about fractions (thanks to my husband the engineer). When we made these, I used a Pyrex measuring cup that measures up to 2 cups. I told him we needed 4 cups of marshmallows. I then told him our measuring cup held two cups and showed him where the two cup mark was. I also showed him where the 1 cup mark was. I asked him how many times we needed to fill it up, and to what, to reach five cups. Cook over low heat, stirring constantly until smooth and all marshmallows have melted. Add food coloring, continuing to stir constantly. Measure out Rice Krispies. Do the same for measuring this as you did with the marshmallows. Use this as a teaching opportunity. Add Rice Krispies. Stir until well coated. Butter hands. I just sprayed cooking spray on our hands. Put a spoonful of the mixture on the cookie sheet and have your child form into the shape of a Christmas tree. You might want to show him how first. Also, it might be hot, so check to make sure it is cool enough before letting your child touch it. This is a good opportunity to talk about three dimensional shapes. Continue until mixture is gone. Re-butter hands as needed. 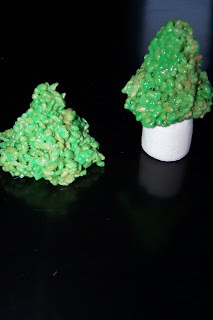 Once formed, you can add the tree base by sticking a toothpick in a large marshmallow and then into the base of the tree. Please note that these are not gooey rice krispie treats. These have less butter and less marshmallows to help the tree stay up, but it has less fat, right? Right? 🙂 You could serve these at your holiday party! I hope you have found some fun ideas to do with your family this holiday season. You may or may not know, but for many years, I ran a learning development activities blog for children. I wrote it with a few other moms. 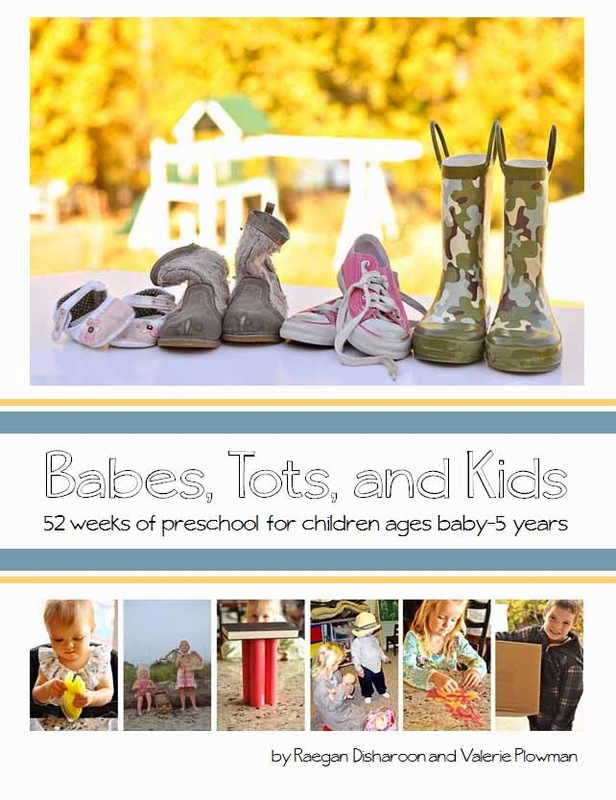 It is still out there if you want to check it out: Children’s Learning Activities.